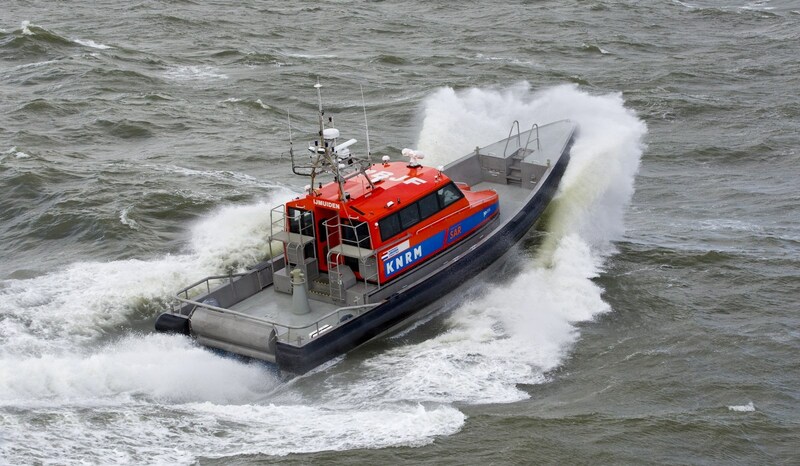 This boat was developed in close cooperation with KNRM, the Dutch National Sea Rescue Organization. As should be expected from a rescue boat, this design will self right within seconds after a capsize or even a 360° roll. The enormous experience of KNRM and top hydrodynamic research from Delft University were used in the development of this design. 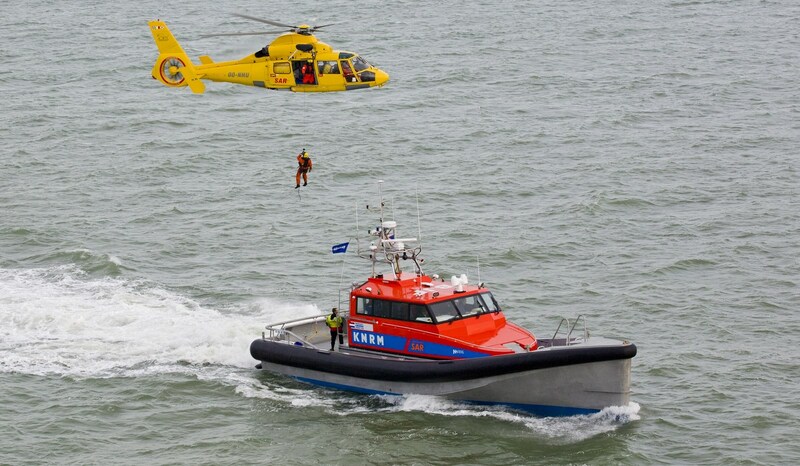 "I am very honoured and happy to be in the position to lead the Royal Netherlands Sea Rescue Organization. What I can see is that our volunteers and headquarter staff are very proud with the result of the development of our ‘next generation lifeboat’ Nh1816." "Saving a life feels like winning the jackpot. That is the main reason I am a member of KNRM. People do not ring the alarm for no reason; when you arrive you can clearly see relief on people's faces." "When I am logged onto KNRM as available and my pager sounds, I drop everything I am holding and leave immediately . I have been doing this for almost twenty years now. Sailing, helping people. It is still wonderful." Principal innovations in hull design, fender design, ergonomics, communications and navigation systems, along with many other new features, based on testing and real operation experience, give the SAR 1906 superior capabilities when compared to conventional lifeboats. Speed, range, efficiency, seaworthiness and safety are all aspects that have been fundamentally improved in the design, as well as ease of maintenance. 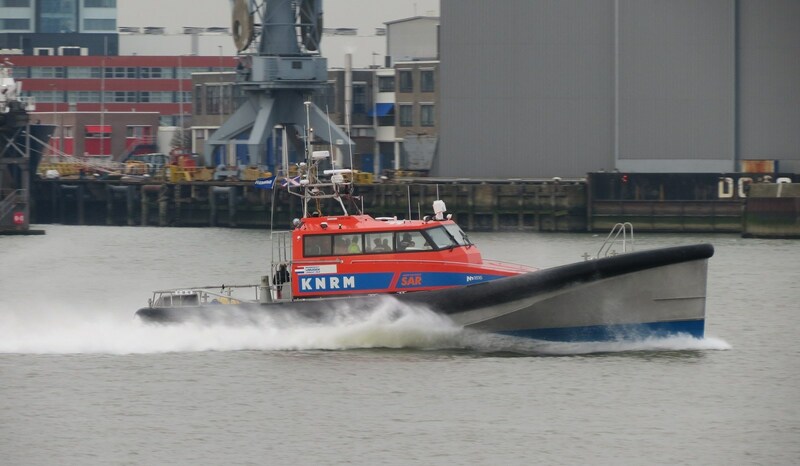 The 19-metre rescue vessel ‘KNRM NH 1816’ combines all of the technical, ergonomic and operational features that the KNRM sought in this remarkable new design. Speed, range, efficiency, seaworthiness and safety are all aspects that have been fundamentally improved in this design. Significant upgrades in crew comfort and ease of maintenance. A modified Sea Axe Bow which cuts through waves, reducing vertical g-forces by 45% and enabling top speeds of over 30 knots. A self-righting, fast, seaworthy monohull with an aluminium hull and a composite wheelhouse. Fitted with retractable rear fins that can be lowered for additional steering stability, or raised to give extra manoeuvrability. The vessel is used for search and rescue operations, fast response and for security and patrol. Crew safety is of major importance and is enhanced in this design. The composite hull reduces noise levels. Specialized Jockey seats provide the crew with maximum comfort. Excellent manoeuvrability due to retractable fins for course stability (down) or extreme manoeuvrability (up) ensures the captain to pick up a survivor with utmost care. The design provides self-righting within seconds after a capsize or even a 360 roll. MTU engines keep running up to 30 seconds upside-down to ensure direct sail power. Two extreme manoeuvrable water jets are included. Seatbelts and harnesses optimize crew safety during sailing and in a roll. 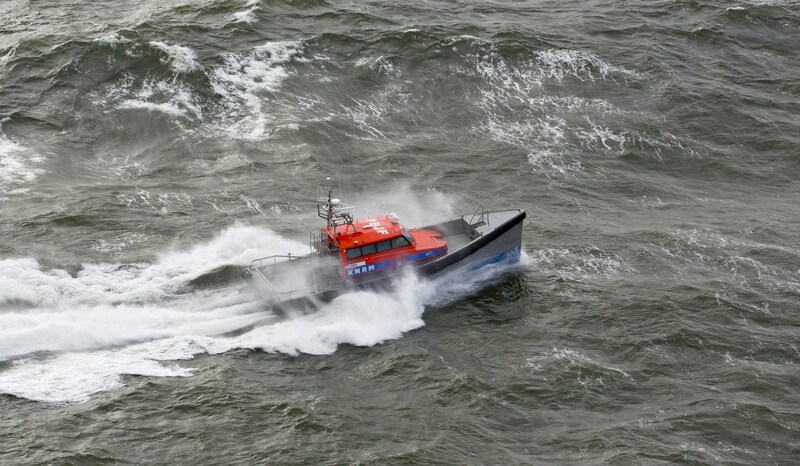 One year of testing and real time sailing has provided Damen Shipyards and KNRM with valuable insights based on both feedback of rescue crews with years of experience and test results. The design is optimized by cutting of the wing shape of the fender and by reducing the radius of the bow by 50%. Aerodynamic model tests are used. More tests are set up to maintain implementation of improvements. 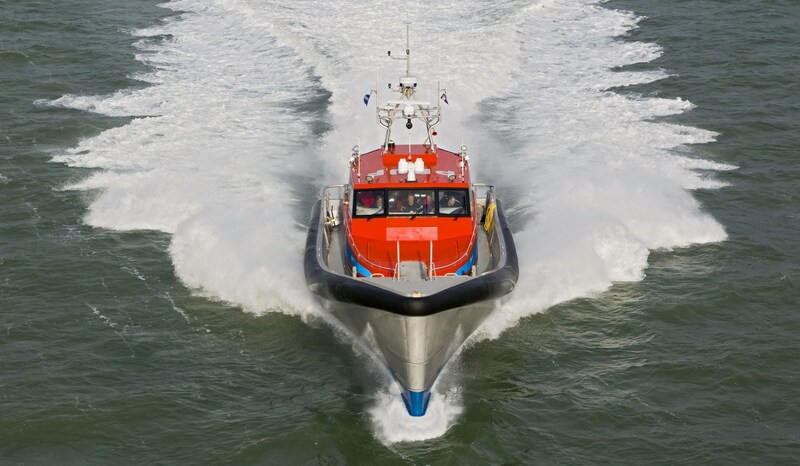 The SAR 1906 (KNRM NH 1816 class) rescue boat is a self-righting, fast, seaworthy monohull with aluminium hull and composite wheelhouse. Its modified Sea Axe Bow cuts through waves, reducing vertical g-forces by 45% and enabling top speeds of over 30 knots, radically transforming seaworthiness. 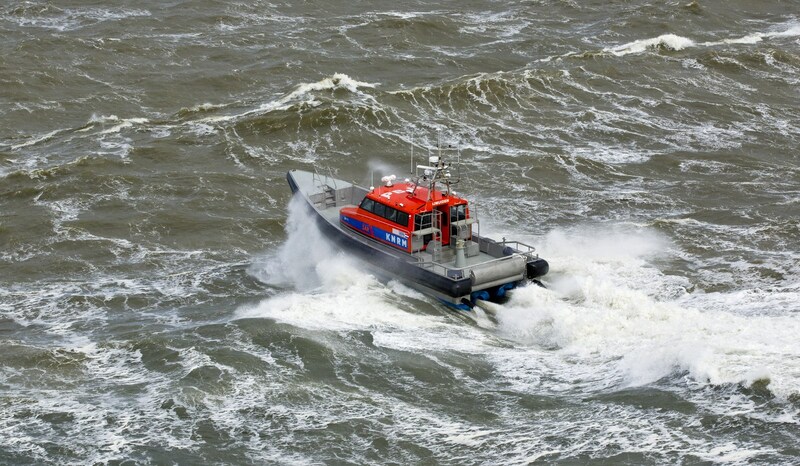 The Sea Axe was originally designed by Prof. Lex Keuning (Delft University of Technology) and Damen Shipyards Group. 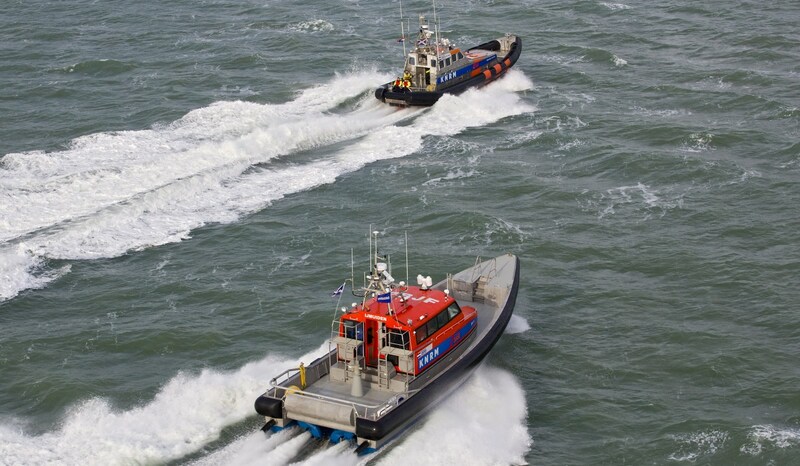 Currently, the patented bow is used predominantly in Damen Fast Crew Suppliers, High Speed Support Vessels, Offshore Patrol Vessels and Fast Yacht Support vessels. In addition to the Axe Bow, the NH 1816 is outfitted with retractable rear fins that can be lowered for additional steering stability, or raised to give extra manoeuvrability. 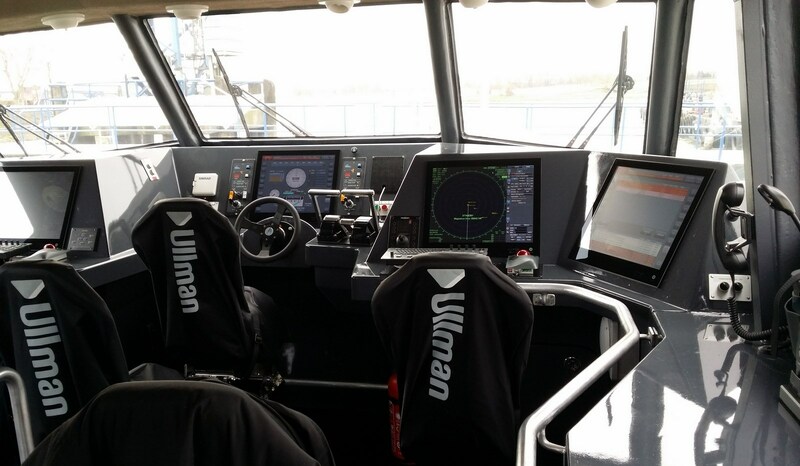 In the wheelhouse, state-of-the-art fully integrated electronics permit real-time data exchange of ship-to-shore communications (an earlier version of this system was previously approved by the RNLI in the UK). Crew working conditions have been considerably enhanced by not only limiting the “slamming” motion of the vessel, but also by a host of ergonomic features such as specialised chairs, climate control, improved visibility and reduced vibration and noise levels. 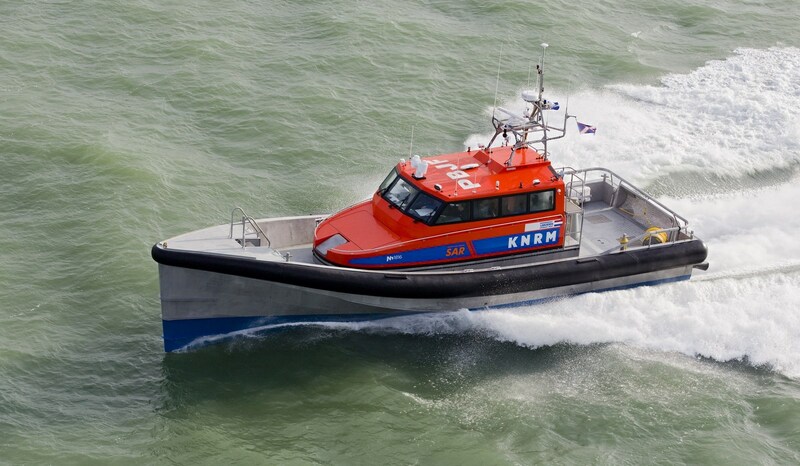 Read the article by Maritime By Holland's Bruno Bouckaert "NH 1816: A new type of Search and Rescue boat for KNRM"